Dave Pelz believes that more golfers need to master their wedges if they are going to improve their scoring, especially the ones whose egos will not let them move up a tee and therefore never get to the greens in regulation. The Titleist Vokey Design SM4 features more aggressive individual grooves, 17 now instead of 14. There are 21 loft options from 46 to 64 and five sole grinds in three finishes—tour chrome, black nickel and oil can. 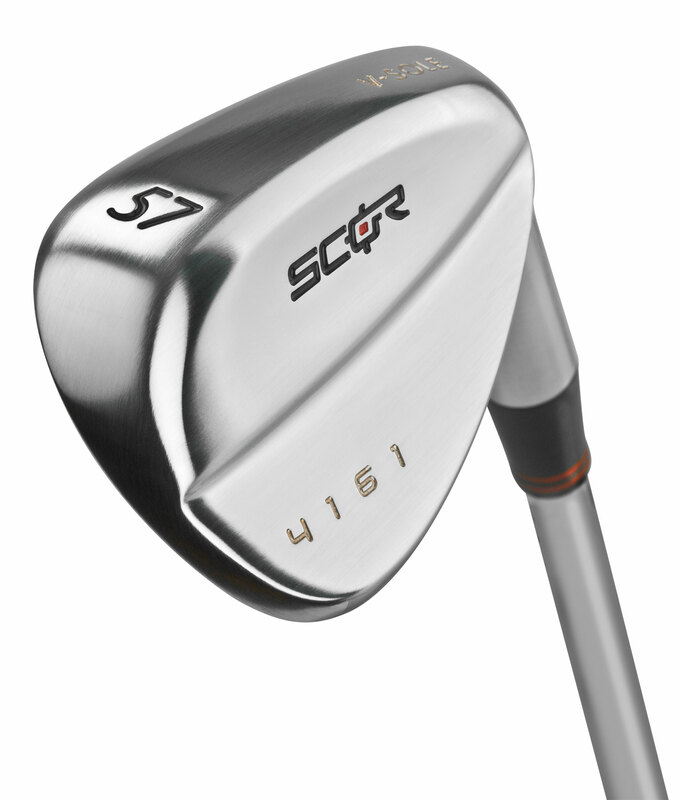 While emphasizing a dynamic new theory about scoring clubs, SCOR Golf offers seven bac kweighing designs staggered thru the 21 degrees of options (41-61). The soles feature a higher bounce angle near the leading edge and lower bounce on the rest of the sole. The Cleveland S88 Forged is a remake of the cast version with milled microgrooves and a shaft with a less active tip for more penetrating ball flight. There are 19 loft/bounce option in chrome and satin. The Ping Anser features a reinforced back cavity that thickens the face to minimize fluctuation and enhance control and tungsten in the toe to keep CG in its proper position. It’s available with satin nickel chrome finish in six loft/bounce options from 60 to 60 degrees. The Nike VR Pro Forged features a higher concentration of deeper grooves and a cross-hatch pattern the grooves to improve surface roughness. Three new lofts among 10 options from 48 to 62 degrees feature a dual sole design intended to keep the leading edge closer to the ground even with an open face. It is available in three finishes—platinum, chorme and oxide. The Callaway Forged has21 tightly spaced grooves with sharper edge radii thanks to going to forging. It has straighter leading edge and a more gradual C-shape sole grind. Six loft/bounce options from 52 to 64 degrees and copper and trivalent dark chriome finishes offered. The Mizuno MP-R12 featurea more rounded head and grooves that are narrower on the lower lofts for full shot spin and grooves that are wider on the higher lofts for partial shot spin. It is available in nine loft/bounce options with white stain and black nickel finishes. The Bridgestone J40 features a milled face for increased surface roughness to produce more spin. A recessed section near the grip of the shaft is intended to produce a sharper angle of attack. It is available in five loft/bounce options from 62 to 60 degrees in satin chrome or black oxide finishes. The Cobra Trusty Rusty offers a retro look in its unplated, easier to rust, model and features a higher bounce angle in the center of the sole and relief areas in the heel and toe to keep the leading edge lower. Seven loft/bounce p[tions from 49 to 61 offered with two other finishes, black PVD and satin. The TaylorMade ATV has a wider sole with a center channel designed to allow the leading edge to stay closer to the ground. The face has sharper edged grooves and uniform microtexture between them to maximize spin. It’s available only in satin finish with seven loft/bounce options from 50 to 64 degrees.